"I lift my eyes to the hills..." Psalm 121 Paired with an image of a grotto of a Marian statue to lead one straight to the arms of Christ. 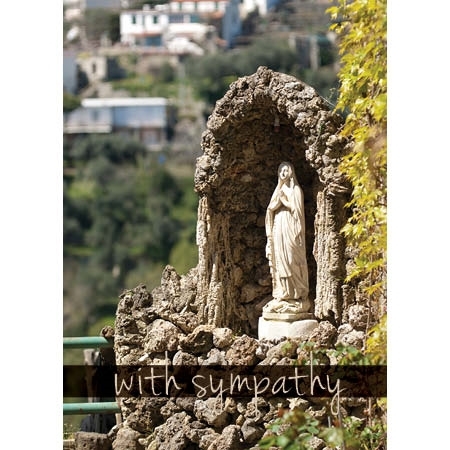 This card is completed with the Memorare on the back. Comes with white envelope size 4.5 x 6.25 inches. "I lift my eyes to the hills..." Psalm 121 Paired with an image of a grotto of a Marian statue to lead one straight to the arms of Christ. 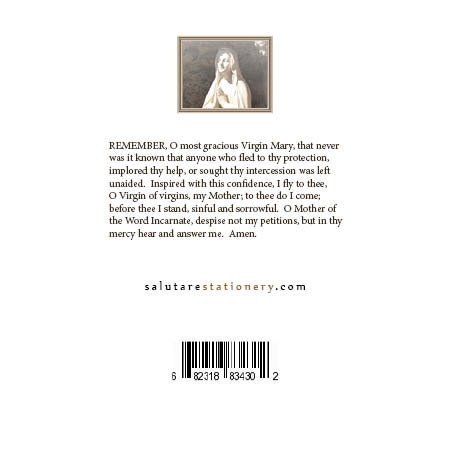 This card is completed with the Memorare on the back. Share sympathy and the Lady of Hope with your loved ones who have experienced loss. 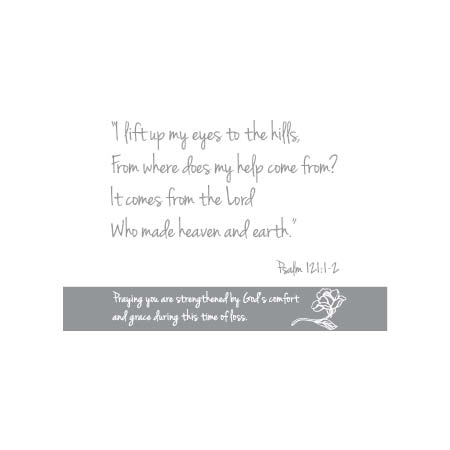 Comes with a white envelope Size 4.5" x 6.25"
Inside Salutation reads "Praying you are strengthened by God's comfort and grace during this time of loss."